Yes! 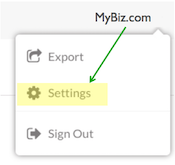 You can configure outgoing webhooks in Settings. 'Outgoing' refers to when Wootric data is moved from Wootric to another database, software or app. 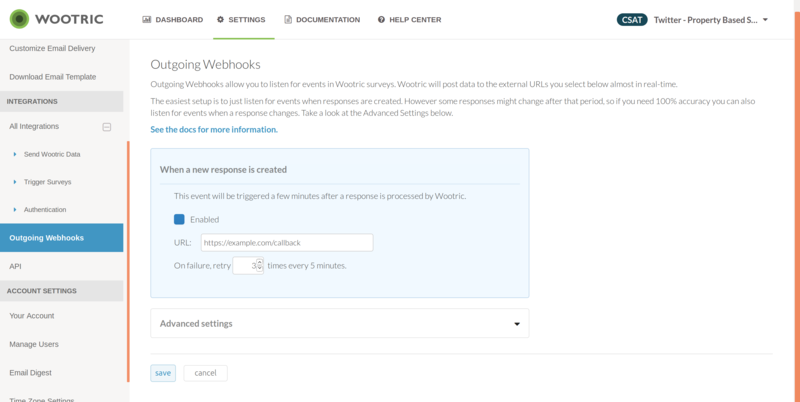 (Incoming webhooks describe when data from 3rd parties is enabled to flow into Wootric). A webhook (also called a web callback or HTTP push API) is a way for an app to deliver data to other applications as it happens, meaning you get data immediately.